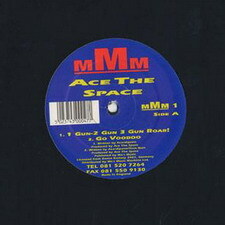 Planet Core | Signals.of.the.Phuture - MMM01 Ace The Space - 1 Gun, 2 Gun, 3 Gun Roar! MMM01 Ace The Space - 1 Gun, 2 Gun, 3 Gun Roar! 1 Gun, 2 Gun, 3 Gun Roar! [A1] 1 Gun, 2 Gun, 3 Gun Roar! Released on Mo's Music Machine.